Five Deeps ExpeditionThe Triton 36,000/2 submarine includes three viewports for pilots to see the sea around them. Twelve people have walked on the moon, but only three have ventured to the Mariana Trench’s Challenger Deep, the deepest point of the ocean. 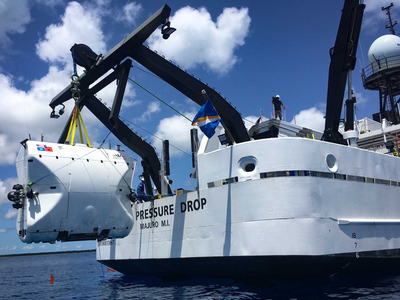 But Florida-based Triton Submarines is trying to expand access to these depths with its new $US48.2 million submarine system. Five Deeps ExpeditionTriton’s submarine will go to the deepest point of each ocean, and a 224-foot support vessel will accompany the submersible every step of the way. 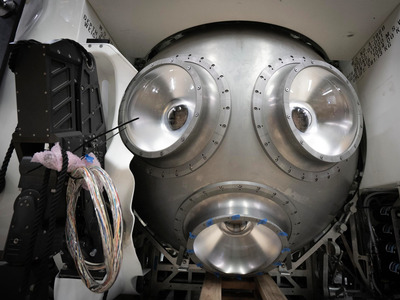 Triton’s new submarine also includes several life-support features. Two occupants would have enough oxygen for four days, and the vessel has absorbers that remove carbon dioxide. Fire is still a risk, though the designers have created an analogue life-support system that can’t shut down during an electrical failure.